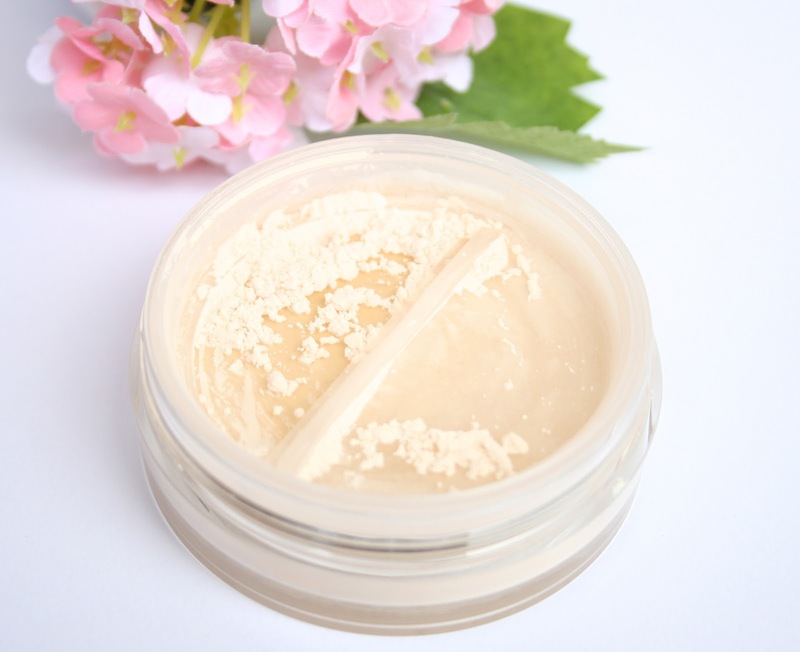 With the upcoming hot months I figured that I want to invest is a really light powder, which will look quite natural and will minimize the appearance of my pores, which is a must for me! With that being said, I did some research online and stumbled across the Primed & Poreless translucent powder. It sounded like the exact product that I was looking for so I eventually went to Sephora and got it! I was a bit hesitant because I’m usually not a huge fan of translucent powders, but I decided to go out of my comfort zone and experiment a bit more! The first thing that immediately caught my eye when I open the little paper bow saw the gorgeous packaging! It is this beautiful sturdy jar with lovely baby pink lid, which has the Too Faced logo embedded on it! It has a nice vintage-y feel to it and it is the prettiest vanity accessory! <3 When you open the lid there is a plastic stopper over the vents and when you unscrew it you just tap out the desired quantity of powder and it is ready to use! I’m having some problems using loose powders and sadly it gets a bit messy sometimes but I’m working on it haha! While I was flipping through online reviews on this little gem, I noticed that this translucent powder is supposed to be used both as a primer and as a setting powder. On the jar it says “ Skin Smoothing Priming Powder & Finishing Veil”. What? I’d never heard of such double-duty powder and it seemed quite bizarre to me. What it is though is that you can dust a little bit of the powder under your foundation and it serves as a primer – it creates an even, smooth canvas and minimizes the appearance of pores. Also, you can set your makeup with it and it will conceal your poses as well and will help your makeup to stay in place the whole day. If I’m being completely honest, I feel like this powder works really well only with mineral makeup on top, because with liquid it tends to be too drying I feel like. However, it leaves my skin so smooth and soft to the touch, which I love! 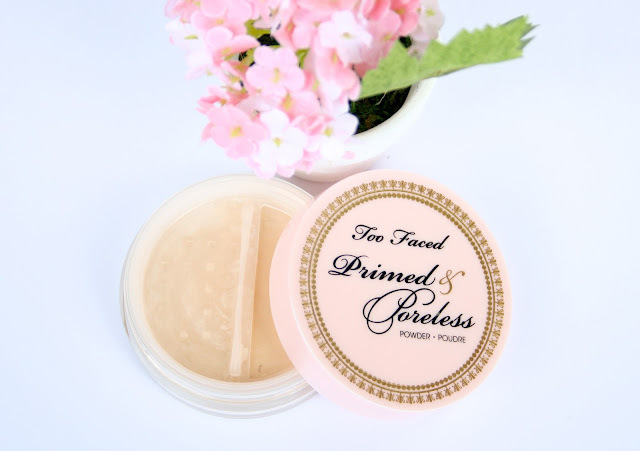 (: For liquid foundation primer I still adore the liquid version of this powder – Too Faced Primed & Poreless Skin Smoothing Face Primer. (: Oh, also on days that I don’t feel like wearing much makeup I just apply some powder on my freshly cleansed and moisturized face and it makes my pores invisible and evens out my skin tone a bit. The Primed & Poreless loose powder comes in only one shade – a white vanilla kind of color. However, it has “adaptable skills” and it basically adjusts to any skin tone. So if you have darker skin, fear not – it won’t look white on you, it will easily adapt to your skin! (: If you are looking for some coverage in this powder though, this sadly won’t happen because it goes on transparently and doesn’t provide any coverage, its purpose is just different. I really love the formulation of this powder! I am so impressed by how finely milled this powder is! It is seriously SO fine, which feels so luxurious and silky on the skin! It minimizes the appearance of pores and fine lines beautifully and really sets my makeup for hours! It looks super natural (it’s talk-free too) and doesn’t look cakey or flakey at all. It also gives a lovely satin finish and I feel like it brightens up my complexion! (: Ahh forgot to mention that I have normal skin but I think that this powder will work even better on people with oily skin because it really keeps the oils at bay! I also wanted to mention that I haven’t had any problems with this product; it hasn’t broken my out or anything like that! The Primed & Poreless powder applies super easily and goes on so smoothly! I feel like the best brush to use this product with is the Real Techniques Buffing Brush. The combination of the powder and the brush gives a lovely airbrushed finish, which I always love! Be careful not to use too much product though, because with this powder a little goes a log way! Thank you so much for reading lovelies! Have you tried this powder before? Which is your favorite translucent powder? This sounds perfect! I need a new powder because I'm nearly out my of translucent powder! I love Too Faced make up - the packaging, the quality, it's all lovely! I love the Tarte translucent powder, but it's a bit pricey ! Sounds great! I need it right now. It seems like a great product from your description :) I tend to go with MAC's Studio Fix powder for summer. I love the packaging and it sounds very good! This sounds really good because I have oily skin and visible pores, I might try this! Sound and looks really good! Your review made me excited to try this :D I've never used a Too Faced product before - shame on me - but this seems really worth it! I have dry skin though so I'm a little scared it would be to "drying" or matte for my skin. Great post! I will definitely try this thanks! that's super cool! 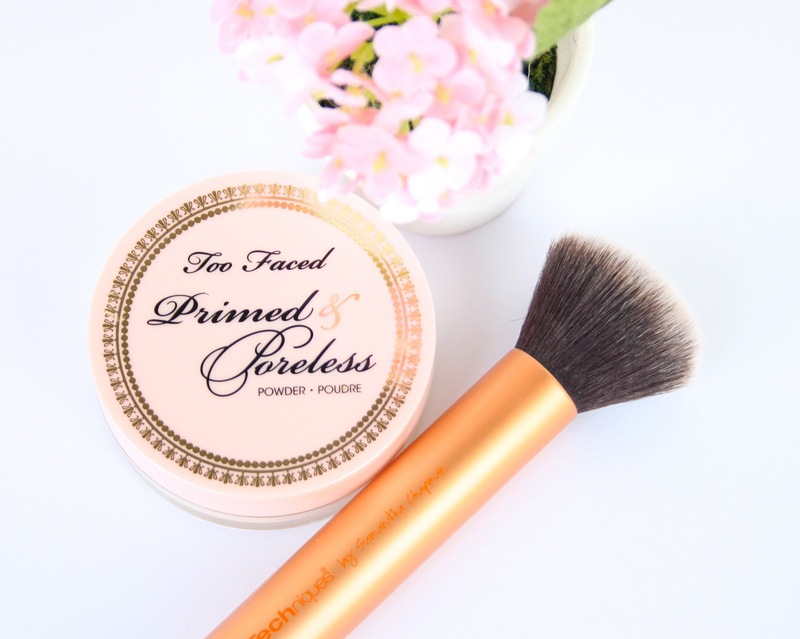 I have the primed and poreless primer and love it, so it's no surprise that this is a great powder :) I might have to try it! Your photography skills are TOPS, girl! Your photos make me smile because everything just looks light and lovely. Great review! I'm so glad your puppers is okay and feeling better! I just love the way you write your reviews and posts and your blog design is gorgeous! Did you make it yourself? Wow this sounds like an amazing product , would be perfect for my oily skin! Aw I really love to try it, I only used a blush from them! Looks like a great option. 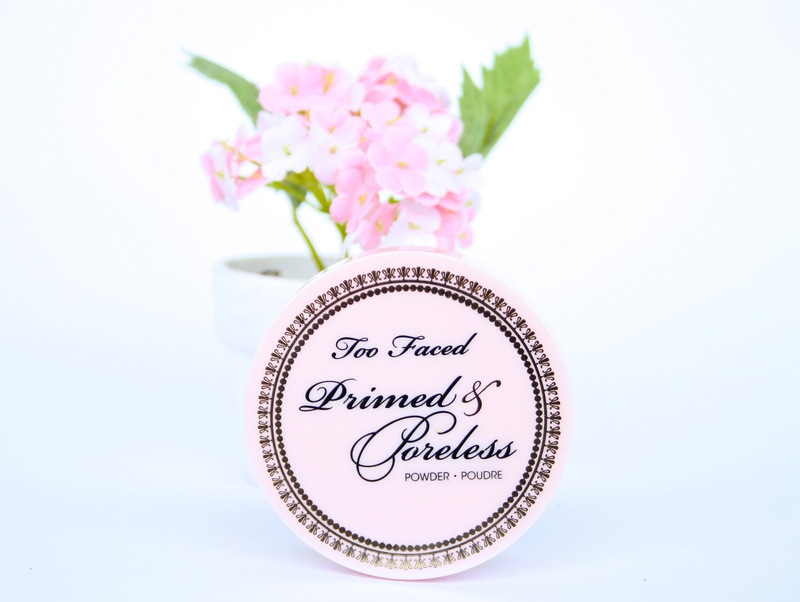 I am coming to the end of my current powder, I am going to check too-faced out. im gonna try this product for sure! I love Too Faced packaging but never was 100% old on contents - this sounds great though, thanks for sharing! I love the packaging, super cute! I havent tried this powder before but I love one by Bare Minerals, perhaps I'll try this one after its done! Absolutely love your blog! I will have to give this a try! It's really beautiful and I've never seen it before, I'm glad it's helping with your pores. This is such a great sounding product, i love translucent powders although its really easy to over use it and waste product. Thanks for sending me your link on twitter. Hola guapa, primero decir que no conocía tu blog y le estoy echando un ojo y me gusta así que me quedaré en él. Lo segundo esos polvos tienen muy buena pinta pero no los conozco, sin embargo la brocha de RT sí y a mi me encanta! Too faced is amazing makeup! 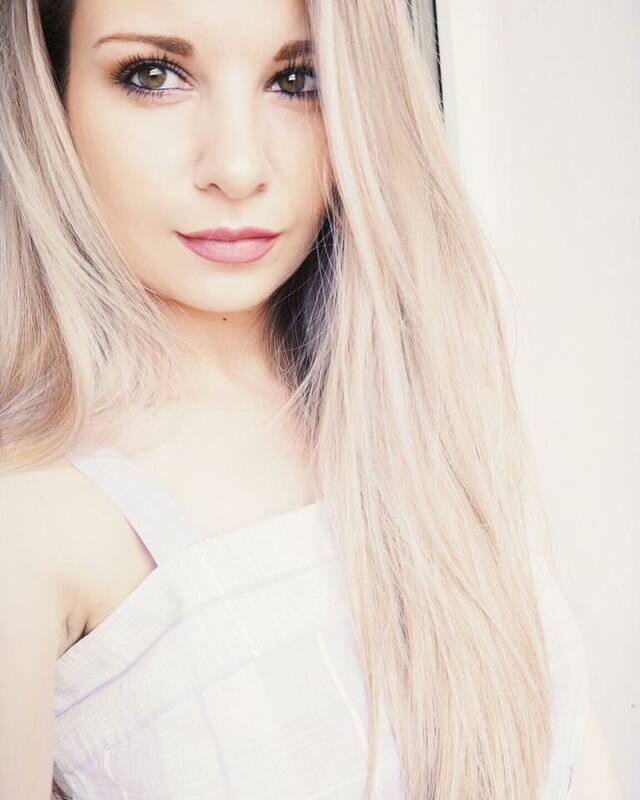 Loving your blog, definitely subscribing! I am so happy I stumbled across your blog, I really love your posts there super informative and really well written. I plan to follow you via GFC and bloglovin' (if you have one). A great deal practical as well as very easy. USPS LiteBlue EPayroll also will certainly permit customers to obtain to various other portal solutions. You can leave the phone in a critical location where individuals are chatting. mSpy You could also check the list of leading apple iphone Spy Apps. Clients can see updates to their credit scores reports and credit rating Credit Karma Login And, in the 2nd box, you need to enter your password to that email address.